Home / Client Authored / Gold Medal Health 8 YEAR Anniversary! Gold Medal Health 8 YEAR Anniversary! 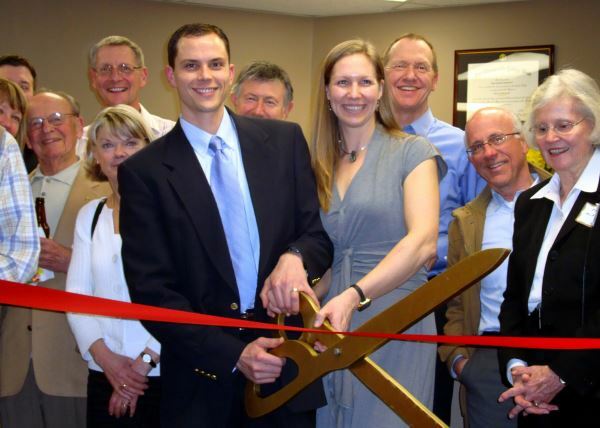 The grand opening of Cummins Chiropractic & Wellness in February 2009. Originally opened at 4122 Factoria Blvd. Suite #202, the Cummins expanded to a larger clinic in 2011 in suite #202. Eight years of optimizing health and performance seem to have flown by to Dr. Bob Cummins and wife, Anna Cummins. It was after the 2008 Olympic Games that newly crowned Olympic champion Anna and husband set a new vision of gold: to bring their community to gold medal health with the best of chiropractic care. In these last eight years, the Cummins cheered on the US Women’s eight to two more golds (Go USA!) and hundreds of people in Bellevue now go for gold medal health! We are celebrating our 8th year of business this February by sharing our love for our patients. We are taking this time to be grateful for the opportunity to be a part of bringing Bellevue and beyond to live their ideal lifestyle. Our patients are experiencing great results with regular chiropractic care and we would like to invite you to share in our focus on the heart this month. Thank you to all of you who have shared about the great work that we do in our clinic. Your five star reviews remind us that all the hard work and long hours really do change lives for the better. Join us as we continue to strive to bring Bellevue and beyond to gold medal health. Everyone deserves to have their body perform at their optimum health from the first breath of life to the last with a healthy spine and nervous system. All you need to do to have your well spine check up is call our office and make an appointment or use our online contact us page. Our staff will be happy to set a convenient time for you to receive a consultation and spinal screening. Live your ideal lifestyle going for your gold for the next 4 years, 8 years, 24 years and beyond!